← The Westport Getaway is on! Below is a graphical look at where our recent web traffic has come from. 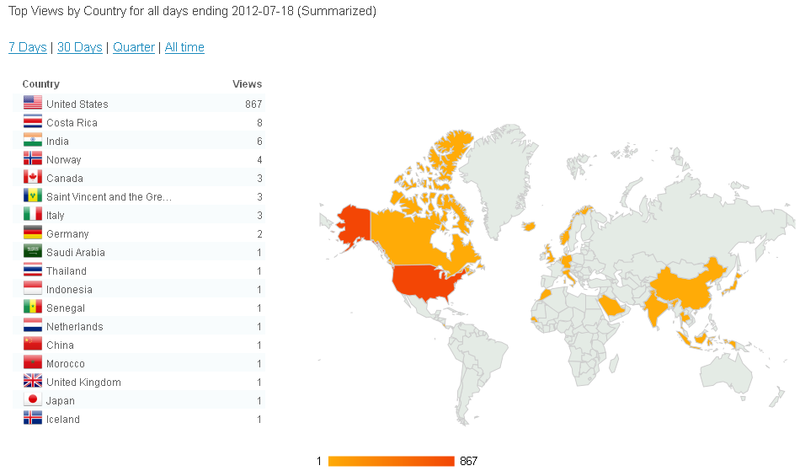 Not surprisingly, the vast majority of visitors are from with in the US. But there are some surprising countries on this list, some that have never had Peace Corps too! These statistics are from the launch of our new site in April 2012 to present.